There is no shortage of stunning spots to elope in Asheville. Scroll down below to see which one best fits what you envision for your big day. Don’t hesitate to ask us questions about any of these awesome spots. About an hour outside of Asheville, Mt. Mitchell is the highest peak through the entire US! 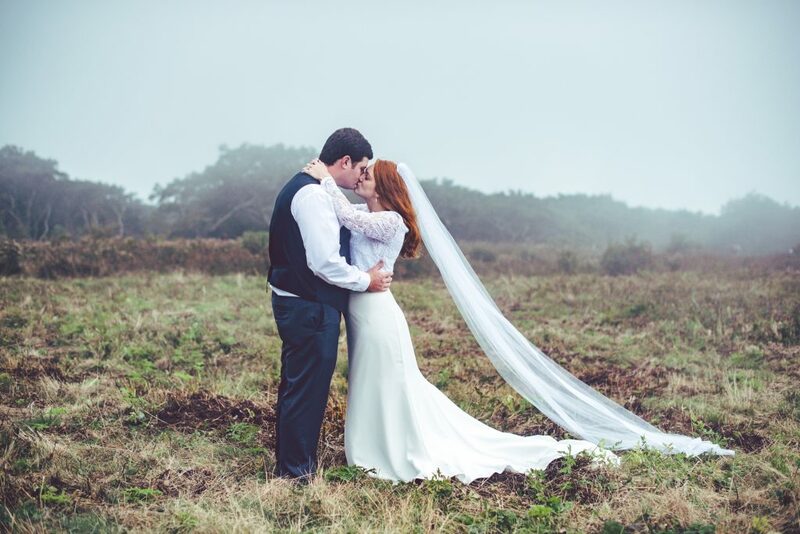 Accessible from the Blue Ridge Parkway, this spot is great for your elopement – you can’t beat the views here. Mt. Mitchell requires travel fees for our team. If you’re wanting to share your vows with the wildlife of the Great Smoky Mountains National Park, this spot is for you! 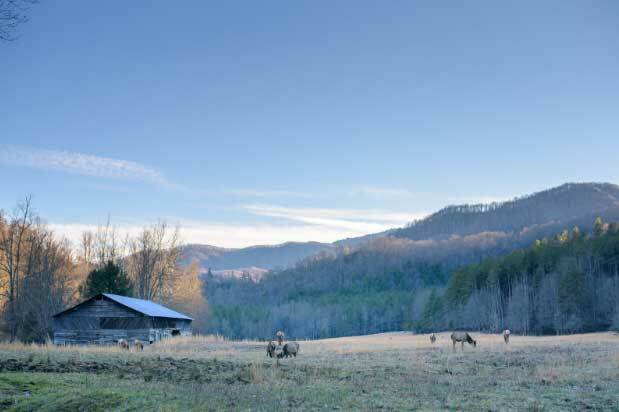 Elk were recently introduced to the Great Smoky Mountains National Park and one of the spots that the elk love to mingle is Cataloochee Valley. Wild turkey and bunnies can also be spotted in this darling, grassy area. Lined by a lovely creek, you can park here and find a spot right off the parking lot, ducked behind the creek to elope if you like. Ample spots for photo opportunities in this area! 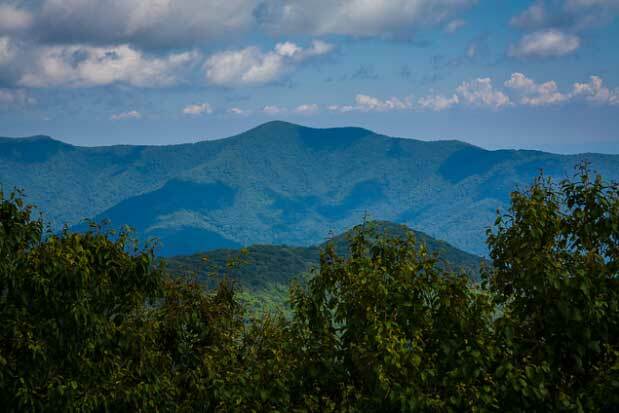 Does require a $150 permit from the Great Smoky Mountains National Park as well as travel fees for our team. Also on the blue Ridge Parkway, Craggy Gardens is a high-elevation garden sprinkled with various wildflowers and foliage. It’s a perfect choice if you’re looking for a garden feel or awesome view for your ceremony. Since the elevation is so high, don’t forget your sweater as it’s cooler here than many spots in the area. Blue Ridge Parkway does require a $100 permit for groups 25 or less and we are happy to advise you on how to obtain that permit! Craggy Gardens requires travel fees for our team. It’s important to note while we can perform ceremonies at the base near the picnic area, ceremonies at the summit are not allowed. Hickory Nut Falls is a 400’ waterfall situated in Chimney Rock Park. 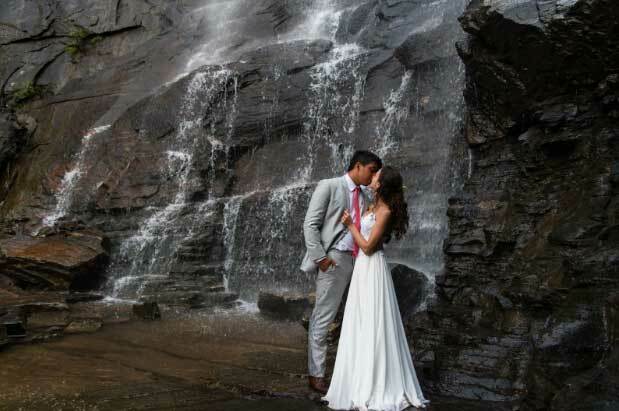 These falls were made famous by their appearance in the movie Last of the Mohicans, and you certainly can’t go wrong with this large falls for your ceremony backdrop! Chimney Rock Park does have fairly strict hours and requires entrance fee + wedding fee for your elopement. Our team charges travel fees for this spot.